Phyllis Jackson has fainted on the soccer field. She thinks she is just dehydrated, but her husband is worried. He has noticed that she has been having difficulty concentrating at work and is forgetful at times at home. At his suggestion, Phyllis goes to the doctor, where a series of tests reveal that she is suffering from a neurological disorder. 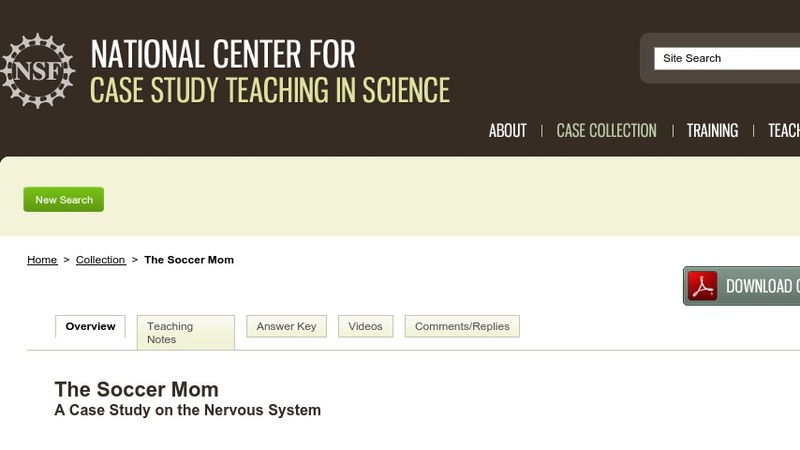 In this interrupted case study, students are presented with Phyllis’s signs and symptoms, which they must interpret in order to diagnosis her problem. The case was developed for use in a one-semester animal physiology course taken by sophomore and junior science majors. It could also be used in an anatomy and physiology course or in a freshman general biology course.